When he had gone out, Jesus said, “Now is the Son of Man glorified, and God is glorified in him. If God is glorified in him, God will also glorify him in himself, and glorify him at once. Judas had just left Jesus and the other disciples. Jesus knew that it the events, which would lead to his leaving the world, had begun. They would culminate in his crucifixion, in the Son of God dying for the sins of the world. But this was his glory and his motivation. Jesus will be glorified by suffering on a cross and dying like a criminal. Jesus will be glorified when he crushes the power of sin and death. Satan’s hold on the world will be broken. But God will glorify Him immediately. Jesus will not stay dead, but will be resurrected. He will then return to the Father in the glory of Heaven. Jesus spoke words of tenderness and comfort to his shattered disciples. For the only time in recorded scripture, he called them, “little children” as he shares the horrifying news. He is about to leave them and they cannot follow. He had already told the unbelieving Jews that they could not come where he was going (John 7:33-34; John 8:21-22). But his enemies could never follow him. Now, Jesus was telling his own disciples that they will be separated from him. Unlike the unbelieving Jews, Jesus will reunite his disciples with him (see John 14:3). But Jesus was not leaving them alone. They have each other! He had set the example of how to love, now they are to love each other in the same way. This is a new commandment, and Jesus’ final commandment to his disciples. The command to love was not new. The Jews were already commanded to love God (Deuteronomy 6:5) and to love their neighbor (Leviticus 19:18). But Jesus was setting a new standard. They were to love each other with the same sacrificial care as Jesus had loved them. This same new commandment to love one another is repeated in 1 John 2:7-10. As the most vocal of the disciples, Peter declared his unending loyalty for Jesus. He would follow him anywhere, even to death! Peter honestly believed that he would do anything for his Lord. But he also did not know his own weakness, and how quickly his own heart would fail him. Jesus speaks with tenderness to his devastated followers, including Peter, “Stop letting your hearts be troubled.” Jesus was their world for the last three years and now things were going to change. He would no longer be physically present. But they needed to put their trust in an invisible God, and believe in him in the same way. He promised to come again and take them to himself. This is not the time of judgement on the wicked (Matthew 13:36-50) but a time when he will come back for his own. This event is described in more detail in 1 Corinthians 15:51–57 and 1 Thessalonians 4:13–18. Instead of giving us directions to the Father’s house, Jesus promised to take us there. He is the way. And how do they know the Father? They know him because they knew Jesus. Jesus is the exact representation of the Father (Colossians 1:15-20; Hebrews 1:3). They will now begin to know him. This is the sixth statement in John’s gospel account where Jesus declares himself with the name of God, “I AM”. In this case, he was reminding his own disciples who he is. See here for the complete list of times where Jesus declares himself with the name of God. Philip asks, “Show us the Father”. Just give us something tangible! Jesus responds that they see the Father whenever they see him. The union is an indissoluble one. This promise is given to “whoever believes in me”, therefore, this promise is given to all believers. All believers will do the works that Jesus did. Furthermore, each believer is promised to do greater works than Jesus did, because he has returned to the father. All three of these verses promise that “whatever you ask in my name, I will do it”. The audience is primarily to his disciples, but John 17:20 extends the promises here to all believers. What is the context of these three passages? The context of John 14 is that Jesus was teaching them of the benefits of him going back to the Father. Because he is going back to the Father, they will glorify the father by asking in his name. The context of John 15 is that Jesus has reiterated his command to love one another. In loving one another, it is not an option (but a command) for us to bear fruit. We need to ask the father so that we can bear fruit so that we can love one another as he commanded because he chose us and ordained us. The context of John 16 is similar to John 14. In this case it is specifically about the joy that will come when we are reunited with Jesus Christ, who is in the Father. We will ask the Father because Christ is in the father and we ask in Christ’s name. In John 14, the request was that God would be glorified. In John 15, the request was that we would bear fruit in loving one another. In John 16, the request was that our joy might be full. Luke and John both predict Peter’s denial during the upper room (Luke 22:31-34; John 13:36-38), while Matthew and Mark both record Jesus’ prediction on the Mount of Olives (Matthew 26:30-35, Mark 14:26-31). The best understanding is that Jesus made two predictions of Peter’s denial. Truly, truly, I say to you, whoever believes in me will also do the works that I do; and greater works than these will he do, because I am going to the Father. 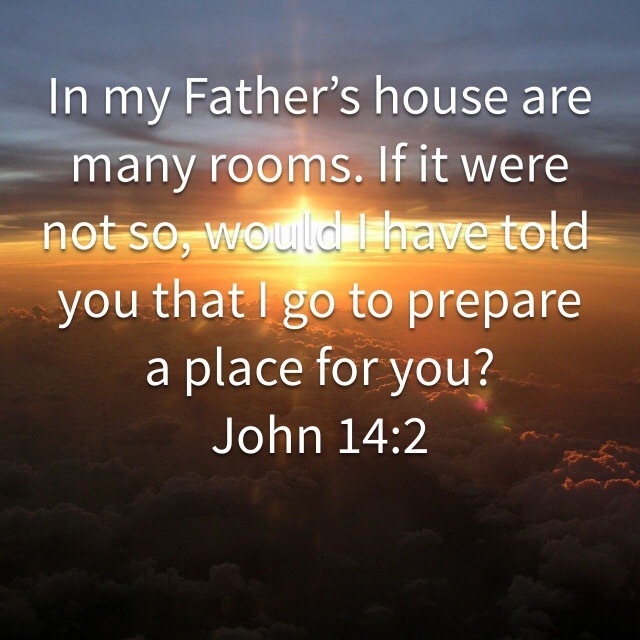 (John 14:12). One view is that this is talking about Jesus’ miracles. Believers would be able to work even greater miracles than Jesus performed while on earth. The problem with this interpretation is that not every believer has performed miracles.Even for any believers who have been able to work miracles, none have been as great as what Jesus did. No one else has risen from the dead, nor created bread for almost 20,000 people out of almost nothing. Another view is that this is talking about the ability of the believers to preach the gospel in a much greater scope than Jesus did on earth. This is a wonderful goal to be saving souls and we want to take the Gospel to the ends of the earth. But the problem with this interpretation is that this is not about collective achievements, it is about each individual. Not every believer has done all of these things.